We will take a look at some standard practices we should apply when building Android applications. TL;DR: Best practices are simply professional standards that are acceptable in a field. Here, we will look at such practices as it relates to Android development. The Android platform runs the mobile market right now. During the Google IO in May 2017, Google announced that there were 2 billion monthly active Android devices. This is about 74% of the mobile operating system market share according to StatCounter as at February 2018. This is one of the major reasons for the large emergence of Android developers in recent times. As a result of the large patronage of the mobile platform, the manner in which we build mobile solutions also matter a great deal. If you are building for billions of users, we have to grow above just building just for the functionalities. we have to consider other factors such as scalability, better user experience, etc. Kotlin helps us to write code twice as faster as we would with Java. Android has even released a set of extension functions to make coding on Android even more concise. The language has been in development since 2010 and the current version at the time of writing this article is v1.2.30. In this article, we will look at some best practices in Android development to help us build better apps. We will also make use of Kotlin for the snippets. Let’s jump into them right away! Design patterns are general, reusable solutions to commonly occurring problems within a given context in software design. It is more like a template towards a solution. Apart from just being a potential solution to a problem, it helps communication among developers as it becomes easier to work in teams when you all are familiar with agreed patterns to follow. Design patterns didn’t just jump out of the bag, they existed since. According to Javamann on StackOverflow: "We used design patterns in the 80's, we just didn't know they were design patterns." Some patterns practiced while developing Android apps include dependency injection, the singleton pattern, the separation of concerns pattern among others. We will briefly look at two of them. Constructor injection - where the dependencies are passed through the constructor. Field injection - where dependencies are sent to the class fields directly, etc. Here, this class MainActivitySample has a dependency MainActivityRepo and it is not responsible for initializing it. Rather the object is being initialized elsewhere and served to the class through the constructor. This is an example of constructor injection. DI, in the long run, helps us to create lightly-coupled and testable apps. This is because, if an object changes, say MainActivityRepo changes, it is easier to reconfigure the object from a single source rather than go to all the classes using it to do so. This is a pattern which encourages decoupling of your code into distinct units with well-defined responsibilities. In a platform like Android where there are components like activities, fragments, services, content providers and broadcast receivers being controlled by the Android OS, neglecting this has repercussions on the apps we build. This is where architectural patterns come in. Architectural patterns can help separate our data presentation from data processing. There are various architectural patterns that exist, such as Model View ViewModel (MVVM), Model View Presenter (MVP), etc. The View: this is the part that displays content to the user such as a progress bar, dialogs, etc. The Model: this is responsible for providing data to the app whether from the DB or a web-service. This should be your single source of truth (data). The Presenter: this part handles the business logic, like calling the Model to get data, and then updates the view. In this architecture, it is recommended that the Presenter should not depend on any Android SDK. Your app starts off by showing a progress dialog. It is the responsibility of the View to do this. While showing the dialog, it needs to display data on the UI, so it informs the Presenter. The Presenter calls the Model and after data is gotten, it is returned to the Presenter who in turn returns the data to the View. While using an architecture, be sure to maintain that structure throughout the app. When you successfully separate your code like this, it becomes easy to maintain, ship new features, and to test. The Android docs provide an in-depth tutorial on a guide to proper architecture using the architecture components. Here is another guide that gives you a good overview of design patterns in Android. Providing an Up navigation button. Use of proper icons to portray functionality, etc. Configuration changes seem to be a pain in the flesh of most Android developers. When you rotate your device and the screen changes orientation, Android usually destroys your application’s existing Activities and Fragments and recreates them. This is done so that the application can reload resources based on the new configuration and this is basically like starting afresh. Improper handling of this scenario is an instance of bad user experience. This could make you loose out on a whole lot of users. And this to your app build.gradle file: groovy implementation "android.arch.lifecycle:viewmodel:1.1.0" annotationProcessor "android.arch.lifecycle:compiler:1.1.0"
And then you can connect it to your data sources to fetch data. 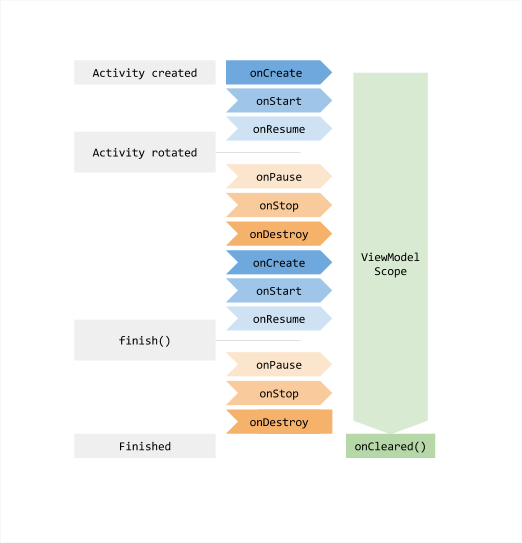 Below, is an image that shows the lifecycle of an Activity as compared to that of a ViewModel. ViewModels don’t persist data. They hold temporary data that survives when your phone is rotated. Another solution to consider is persisting your data in the database after it has been fetched from a remote source so that when the phone is rotated, data can quickly be gotten from the DB instead of having to fetch again. "Respect the UI thread! Always move your long running tasks to the background thread." In Android, the word compatibility points to two options: app and device compatibility. As Android developers, we just have to worry about the first - app compatibility. Talking about device compatibility, only devices that are Android compatible include Google Play Store which in turn accepts our app. So as app developers, we have no role to play here at least for now. This aspect focuses on a UI that scales (i.e a UI that adapts irrespective of device screen). There are many devices with different screen sizes and densities. Depending on our target market, we should make adequate provision for a variety of resources (images & layouts), thereby, giving our app the much-needed flexibility. No one would be happy to download an app that is skewed on his/her device. There are principles to be applied to achieve this feat. Android provides a framework in which we can provide configuration-specific app resources such as different XML layouts for different screen sizes. Android then loads the appropriate resources based on the current device configuration. If you have intentions of supporting a tablet, you should consider creating an alternative layout. You can create alternative layouts by right-clicking on any folder in the directory → New → Android resource file. In our own case here, we chose the smallest width qualifier and set the smallest screen width to 600dp. This means that only screens with a minimum width of 600dp can use this alternative layout. This layout is definitely for tablets. You can create layouts based on heights, orientation, and general sizes. Creating alternative layouts can be minimized if you use a very flexible layout as ConstraintLayout, and you reduce hard coding of view sizes. When assigning a width and height to a view, using a direct size, say 20dp might have a negative design effect on contrasting devices. Remember the device you use for preview is not the only device that exists! You should instead opt for wrap_content or match_parent when assigning the widths and heights of views. This is because these two properties automatically adapt to your device size - wrap_content takes the size of the view while match_parent takes the size of the layout housing the view. Another aspect you should take note of is potential support for multiple languages. To achieve this, you have to store all your strings in the strings.xml file. This gives room for easy translation at any point in time. Even if you don’t plan to support other languages, storing all strings in the strings.xml file is a standard practice. Google play protect: this is built into every device with Google Play to automatically take action to keep data and device safe. SafetyNet attestation: evaluate if it is a certified secure Android device. reCAPTCHA for Android: to ensure an app is not automated i.e handled by a robot. Encryption from Android M to protect user data, etc. However, some security vulnerabilities are outside their control at least at the moment. There is still some work to be done. Most times, our apps need to communicate with APIs and backend services to fetch data or send data. This should be done in a secure manner. For this reason, The network security configuration was introduced to ensure adequate validation of the servers our apps intend to communicate with. When we talk about secure backend services, we won't go too far because have such services readily available at your beck and call, thanks to Auth0. Auth0 is a company that provides identity management solutions for our apps. If you are building a social app or anything related that requires authentication and user management, you could use the service provided to us by Auth0 to manage our identities while you focus on other functionalities. Auth0 makes use of secure protocols such as OAuth2.0. The OAuth2.0 protocol is used for mainly authorization. It is a protocol that gives a user access to resources on a server without exposing the identity. Below is a generic workflow of the protocol. Some other protocols used by Auth0 include - OpenID Connect, SAML, WS-Federation, LDAP. Multiple social identity providers: using a social provider such as Facebook to authenticate users. Single sign-on (SSO): making a user login just once yet get access to other applications that use same authentication system. Google's implementation of login for their products, such as Gmail, YouTube, etc, is an example of SSO. Multifactor authentication: verifying a user's identity by requiring them to present more than one piece of identifying information. This is used in Gmail. Passwordless authentication: authenticate users using a unique link or using a code sent to their phones or email. A common example of this authentication system is in WhatsApp. Enterprise identity providers (Active Directory, LDAP, SAML, custom, etc.). The scheme: since this is a demo, you can opt for the demo against the https and http. Our app package name: you can get this from your AndroidManifest.xml file. You should replace these details with your own unique domain name and client ID. Here we initialized the Auth0 object with the app context. This is because we have already provided the details in the AndroidManifest.xml file. We also set it to be ODI comformant. 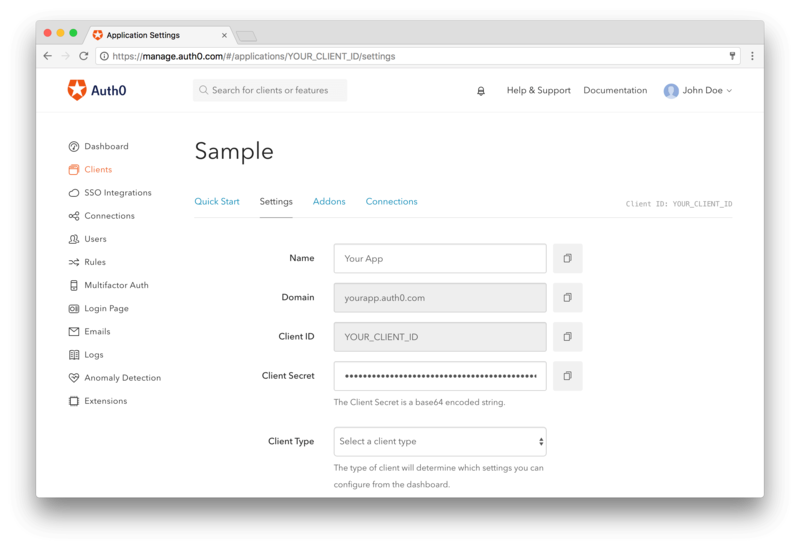 And we used the same scheme as we used in our callback URL and manifest holders. The schemes should always match. We have been able to integrate a secure backend service for our apps. You can go further than this to add more identity providers for your Auth0 application or even decide to go passwordless. Already, since the Marshmallow release, Android ensures adequate privacy by making sure that the app requests some permissions at the point of use - what we call run-time permissions. Similarly, accessing features without requesting the necessary permissions in the AndroidManifest.xml file results in a security exception. Your app should request only the minimum number of permissions necessary to function properly. Whenever possible, don't add a permission to your app to complete an action that could be completed in another app. Instead, use an intent to defer the request to a different app that already has the necessary permission. The official Android docs provides other relevant practices app developers should take note of. This makes sure that the object is only initialized when it is about to be accessed and it makes sure only one instance of the object exists. Resources like hardware codecs are used here. These resources are used by other apps as well. We need to release resources when there are no longer in use by our app in the appropriate lifecycle method - maybe onStop or onPause. Failure to release them could lead to memory leaks. Memory leaks have serious effects on your app such as freezing the app and eventually crashing the app due to an OutOfMemory (OOM) error. OOM errors are caused when there is a demand for lots memory that goes beyond the max heap memory limit of a process. // This process is dedicated to LeakCanary for heap analysis. // You should not init your app in this process. With this, LeakCanary monitors your app and sends you a notification when there is a memory leak. Next thing in discussing our app performance concerns our layout performance. Deep nested layout are slow to draw on the UI, therefore, producing a lag in performance in our app. The layout performance of our app can be improved by flattening the layout— make the layout shallow and wide, rather than narrow and deep (deep-nested). This is where the ConstraintLayout comes in. The ConstraintLayout is a pretty new layout released in May 2017. It supports API 9 upwards. It allows you to create large and complex layouts with a flat view hierarchy (no nested view groups). It is a replacement for the relative layout. ConstraintLayout gives us a performance advantage because the layout is easier to draw, and therefore, it takes less time to display on the UI. 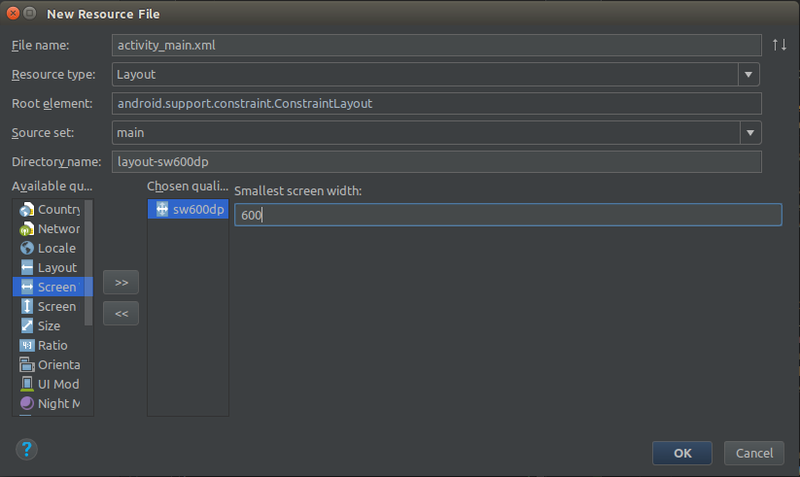 Recently, in Android Studio, projects are created with the ConstraintLayout by default. You can get acquainted with this awesome layout using the official docs. "ConstraintLayout helps us to create large complex layouts while improving the performance of our layout in the process." As stated earlier in this post, respect the UI thread. Use a background thread for all long running tasks. Doing this counts for a better performance and better user experience in the long run. Finally, as an Android developer, evaluating performance should be a watchword. 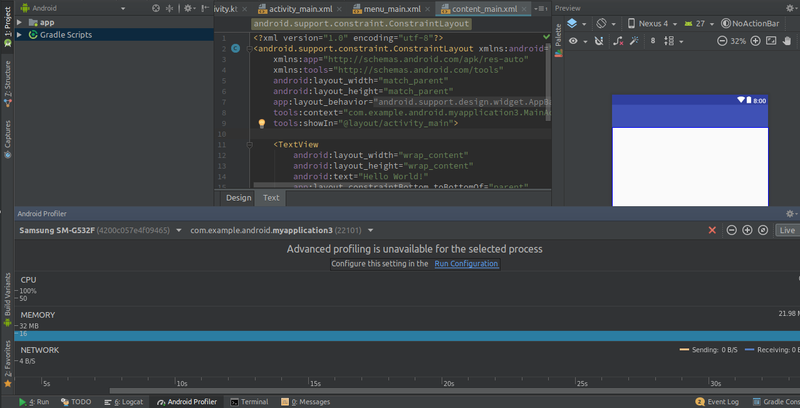 Android Studio provides us with the profiler to check the performance of our app while still in development. The profiler helps us gauge the device’s resource usage of our app during execution. It is usually located at the bottom of your screen and only shows up when the app is running. These practices help us write clean and maintainable code. In this article, we have learned some areas in Android development where most developers tend to make major mistakes. We have equally learned how to address such from learning about the importance of design patterns, to improving performance, to supporting multiple devices, and even securing our apps. 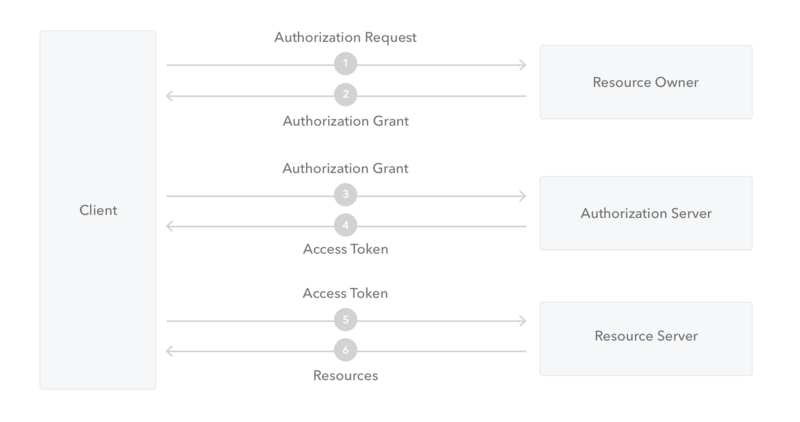 Notably, we learned how Auth0 can help us secure our apps. We went as far as integrating Auth0 into our app. Applying these practices we have learned go a long way to improve our app both in the user experience and in code maintenance.